We usually had “Khichdi” in lunch every year on this day. Saraswati pujo is celebrated like a grand festival of winter here in our area. This year was no difference except the menu was changed. 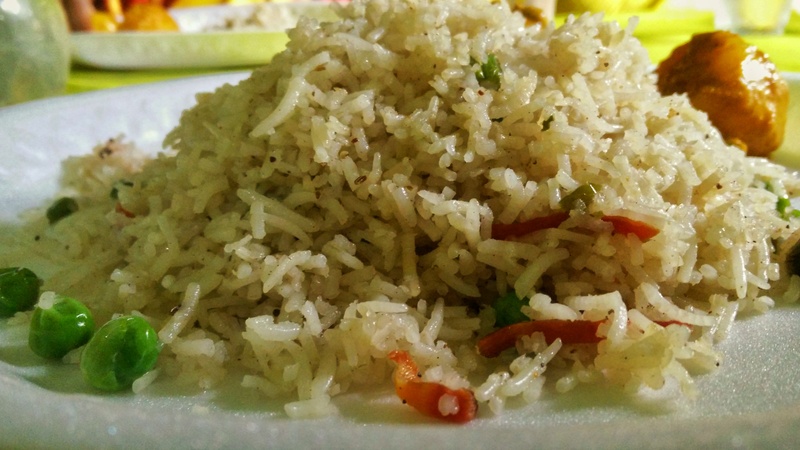 Fried rice and Alur dum (Potato dum, or a thick curry) instead of traditional “Khichdi.” I mean why not? It’s rather good to break tradition sometimes.